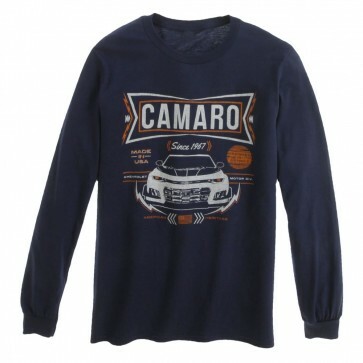 This tee has a great design and color combination with lightly-distressed graphics that show excitement for the heritage of Camaro. Pre-shrunk 100% cotton. Imported.